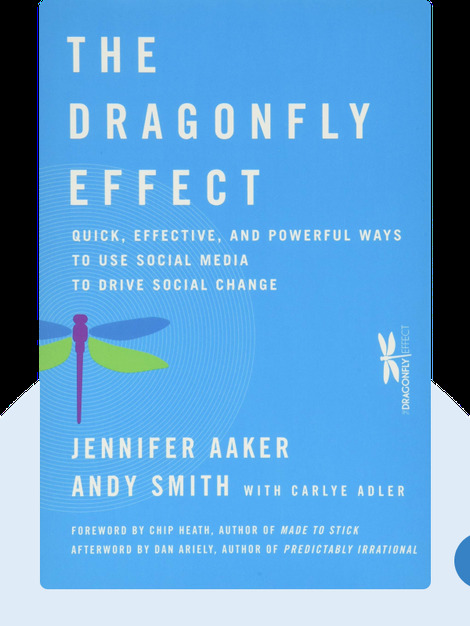 The Dragonfly Effect explains how anyone can harness the power of social media to get people behind meaningful social change. Jennifer Aaker is a social psychologist and marketer who is currently a marketing professor at Stanford University’s Graduate School of Business. Her work has been featured in several prominent magazines, including The Economist and The New York Times. Andy Smith is a seasoned technology marketing executive, and Aaker’s husband. 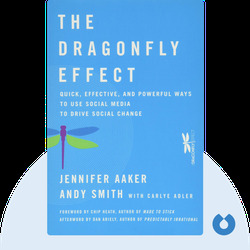 Jennifer Aaker and Andy Smith: The Dragonfly Effect copyright, John Wiley & Sons Inc. Used by permission of John Wiley & Sons Inc. and shall not be made available to any unauthorized third parties.